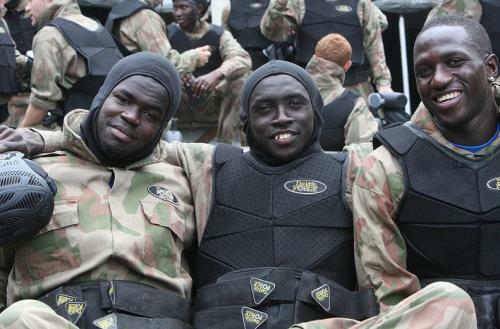 Joining the growing list of professional sports teams to entrust their players and staff at Delta Force, it was Newcastle United’s turn to journey to their local Delta Force Paintball centre to take part in our epic paintball scenarios. Last week we welcomed children from the Newcastle United Foundation, led by Senior Project Coordinator, Steve Mack. 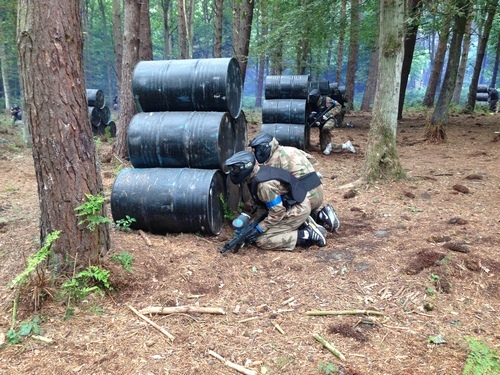 With the first team and supporting staff attending for an afternoon paintball team-building session on 8th August, how would the first-teamers compare to their younger counterparts? Well, they certainly made a grander entrance. 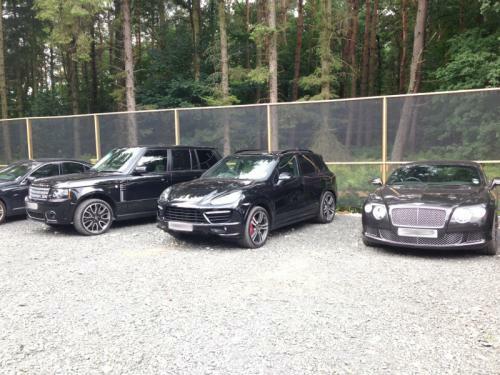 Flashy motors are usually associated with Premiership footballers and the lads from the Toon Army didn’t disappoint – by the time the whole team arrived, the value of our car park had rocketed into the hundreds of thousands! Speaking of things that flash, the players caught on to the potential of our pyrotechnics, letting off smoke and paint grenades in all of our awesome game zones and even behind manager Alan Pardew when he wasn’t looking! 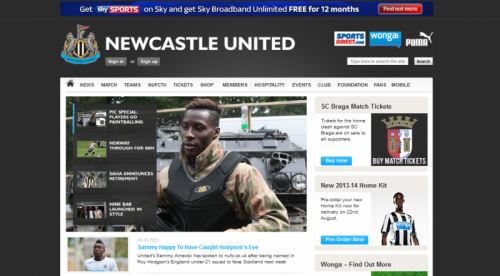 Aside from the cheeky shenanigans, Newcastle stalwarts Steven Taylor, Shola Ameobi, Fabricio Coloccini and many of the club’s newer faces wasted no time getting stuck in and taking on the Newcastle backroom staff, swapping the iconic black and white jerseys for our more protective, but equally designer camo overalls. 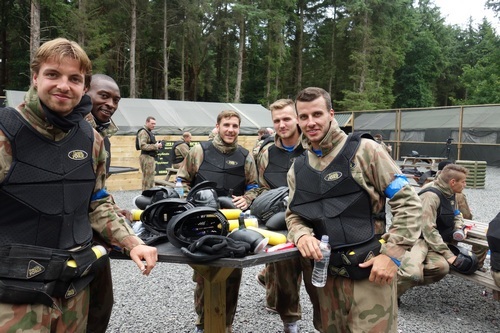 Tim Krul was one of the more efficient players, not surprising being a regular at Delta Force Paintball Newcastle, but even he couldn’t save what was in the end a whitewash in favour of the staff: 3-0 the final result! 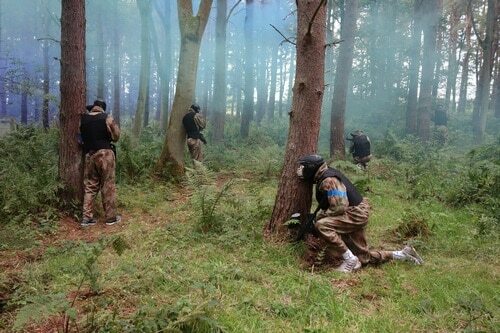 Like many other sporting and corporate clientele we have had the pleasure of hosting in the past, the NUFC viewed a day with Delta Force Paintball as the ideal preparation for what will be a challenging season in one of the world’s most elite leagues. 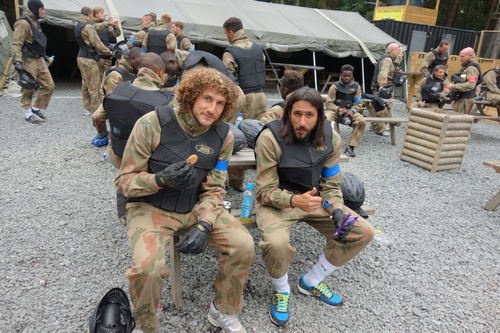 With their opening fixture away to Manchester City only a fortnight away, adrenaline-packed paintball action gave the players a chance to work on tactics and communication, whilst also serving as precious downtime away from rigorous pre-season training and friendlies.